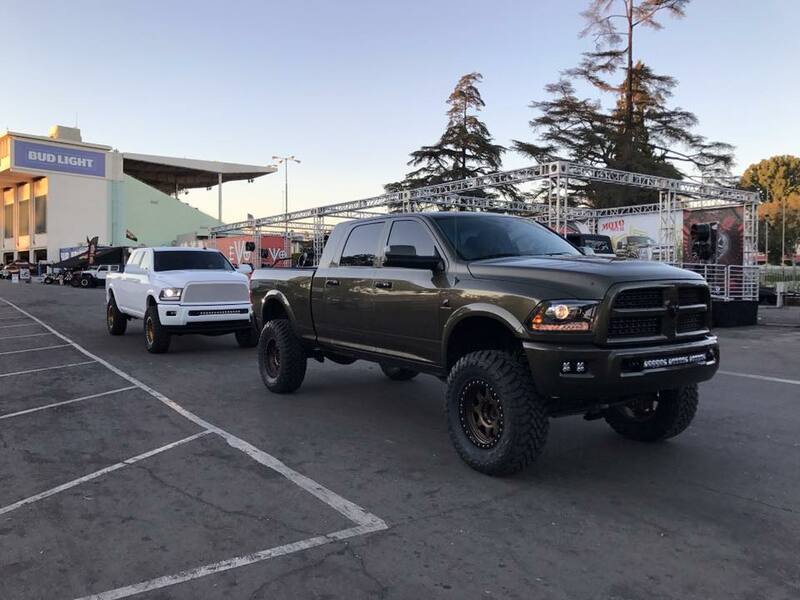 Over the past few months, we have been fortunate enough to work on some awesome projects as well as unveil some of our shop rigs at the 2016 Off Road Expo in Pomona, California. 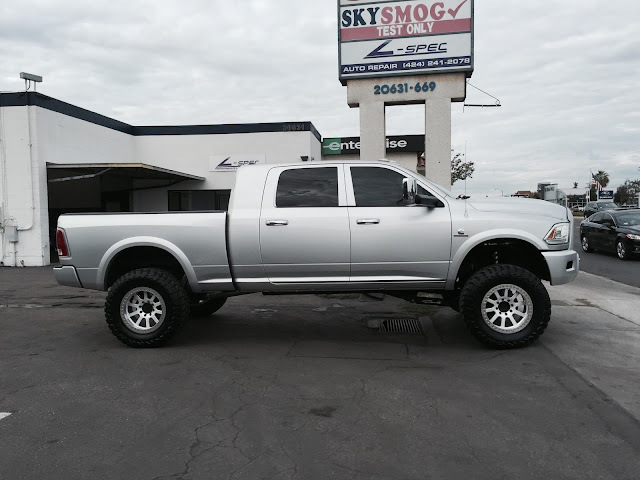 We replaced our shop 2010 with a 2012 Mega Cab featuring a Carli Suspension 6" Unchained IBP system. We then had our friends at Autobahn Collision in Torrance, California color match the bumpers and add a 2016 grille. They also did some custom fabrication work on the front bumper to remove the opening at the bottom. 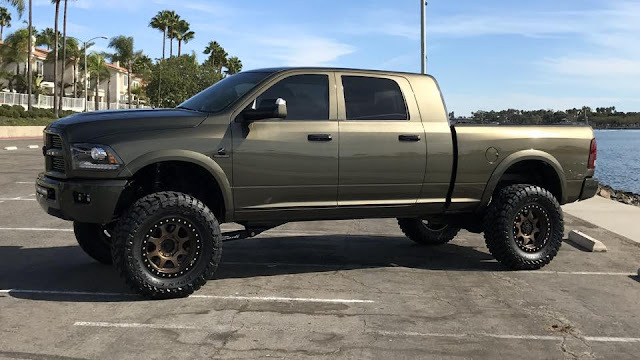 The truck is rounded out with Trail Ready 20" Simulated Beadlock HD20 wheels powder coated in Prismatic Triple Bronze, 38" Toyo MT's, and Baja Designs Squadron fog lights and OnX6 Arc 30" in the front bumper using our custom brackets. 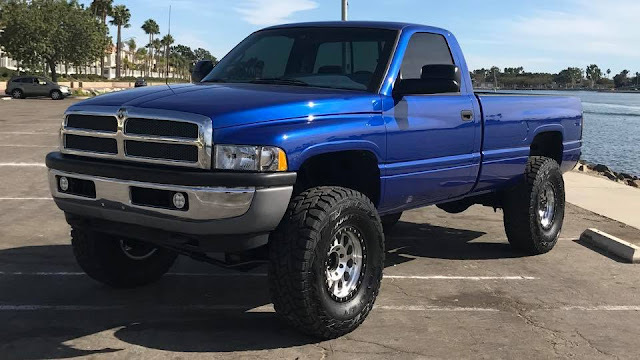 This 1994 12 valve underwent a full restoration and received a Carli Dominator 3.0 system with billet shock towers, Carli control arms, 17" Method machined Double Standards, and 37" Toyo R/T's. All paint work was done by Autobahn Collision Center in Torrance, California. This truck was a hit at the Off Road Expo. We are absolutely thrilled with how this truck turned out! 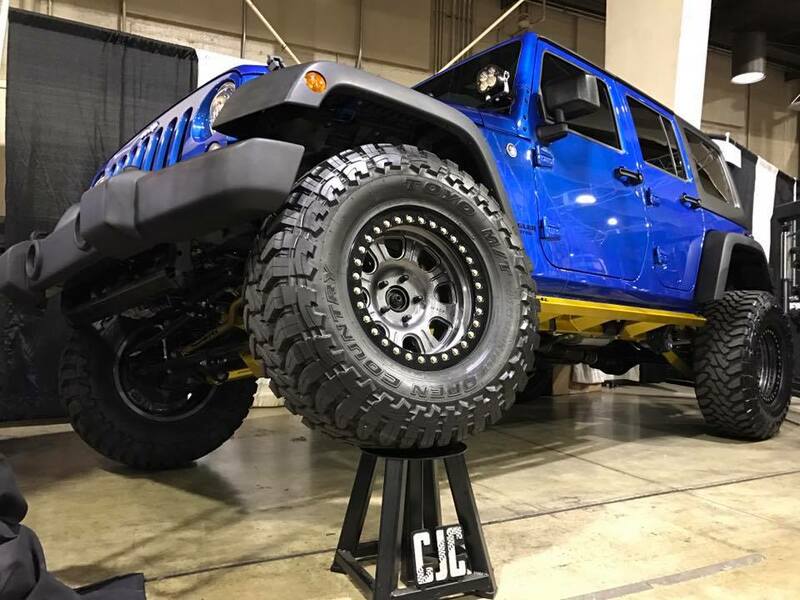 Our other major unveiling at the Off Road Expo was Carli's new 2.5" Jeep Commuter system. This Jeep features Carli's 2.5" soft rate coils front and rear, Carli High Clearance Fabricated Control Arms, Carli Adjustable Track Bars front and rear, Carli Rock Sliders, Baja Designs XL Pro lights, Raceline 17" Monster beadlocks, and 35" Toyo MT's. Look forward to many more updates on this rig in the near future! This brand new 2016 2500 received a Carli Commuter 2.0 system, 17" Method NV's, and 37" Toyo MT's. With some slight fender liner trimming, this setup cleared nicely! 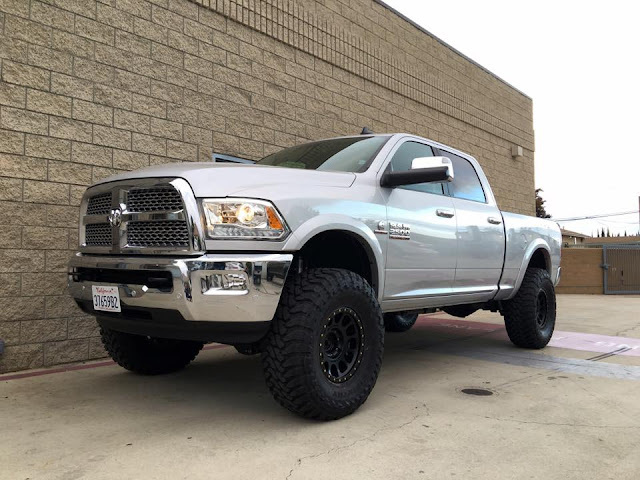 Our friend Balu's 2016 2500 got treated to a Carli Pintop 2.5 system, machined 17" Method NV's, and 37" Toyo R/T's. We really like the look of this one with this color! 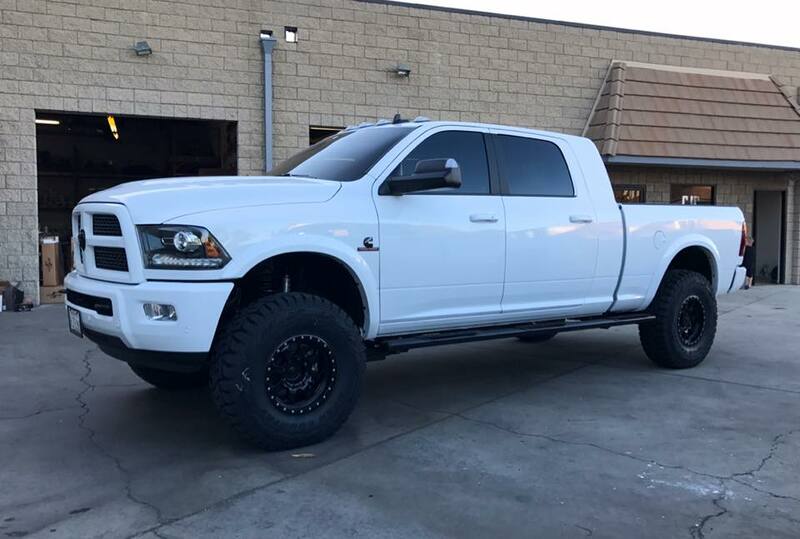 Here is a brand new 2016 2500 Mega Cab Sport featuring a Carli Commuter system, gloss black powder coated Raceline Avengers, and 37" Toyo R/T's. The white and black combination on this truck tuned out great! 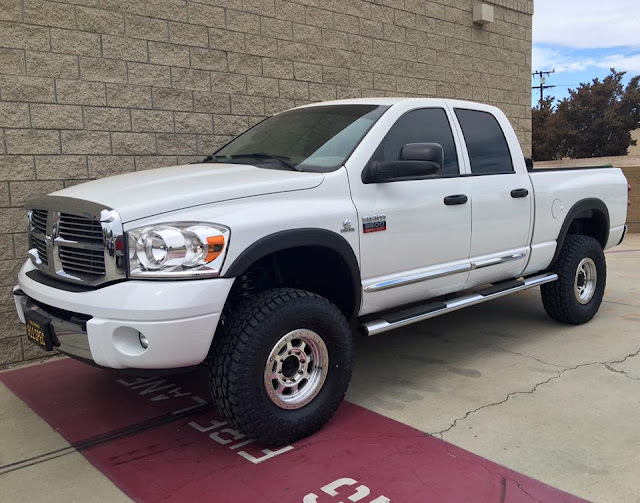 This 2016 Sport 2500 features one of Carli's new 2.5" leveling kits. 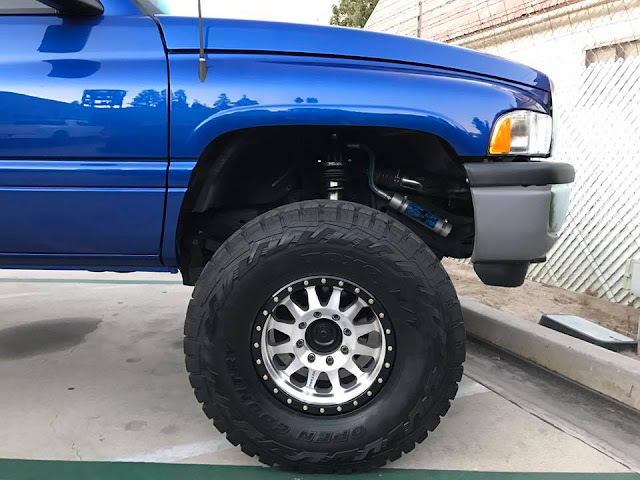 This truck has the addition of a Carli Adjustable Track Bar, Method Standards, and 35" Toyo R/T's. 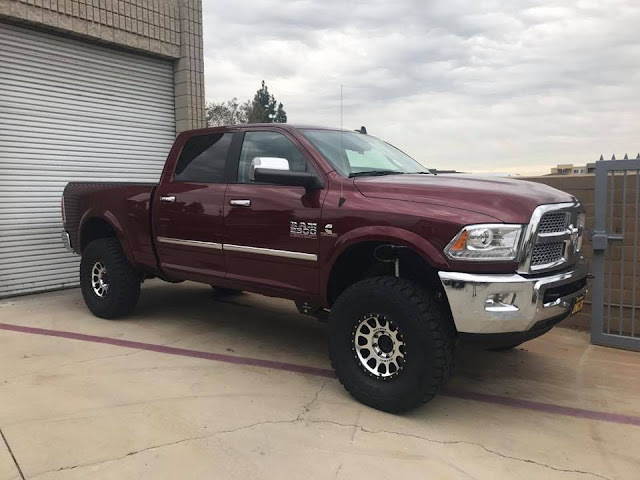 Bill brought us this cherry 2006 Cummins wanting to improve the ride quality. 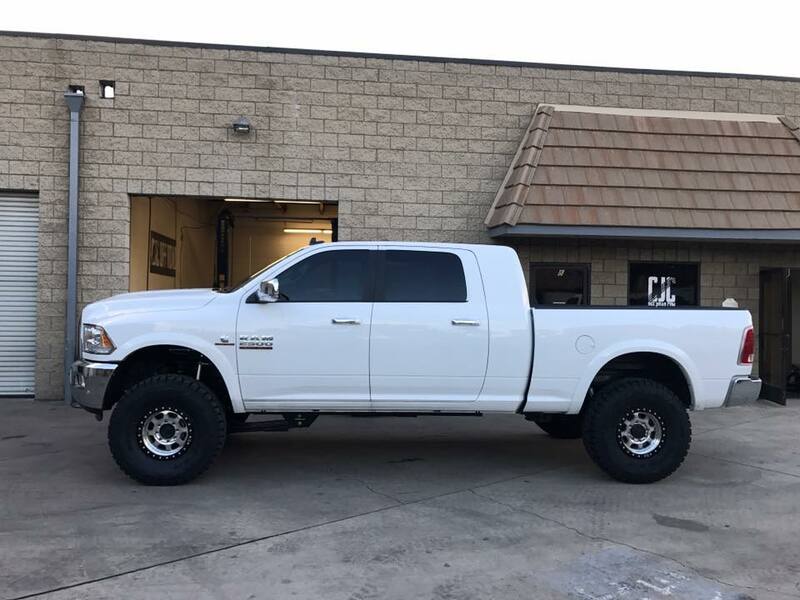 We installed a Carli Pintop 2.5" system with full progressive leaf springs, 17" Trail Ready Simulated Beadlocks, and 35" Toyo ATII's. The difference in ride was night and day and the customer is thrilled with how this turned out! Here is another brand new Mega Cab 2500 that we installed a Carli Suspension Pintop 2.5 system on along with Trail Ready Simulated Beadlocks and 37" Toyo R/T's. We'd say this combination is just about perfect! 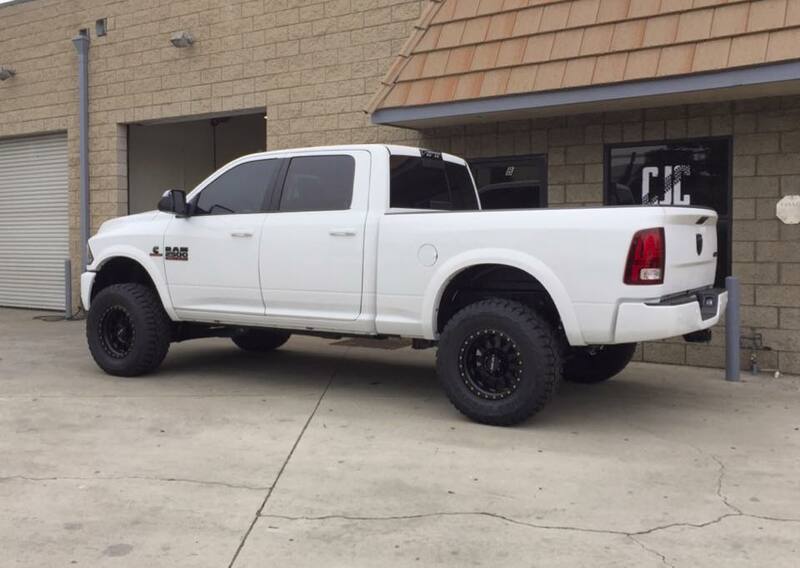 We set our painter up with a Carli 6" Dominator 3.0 system, Raceline Liberator forged beadlocks, and 37" Toyo MT's. This combination is absolutely stunning!